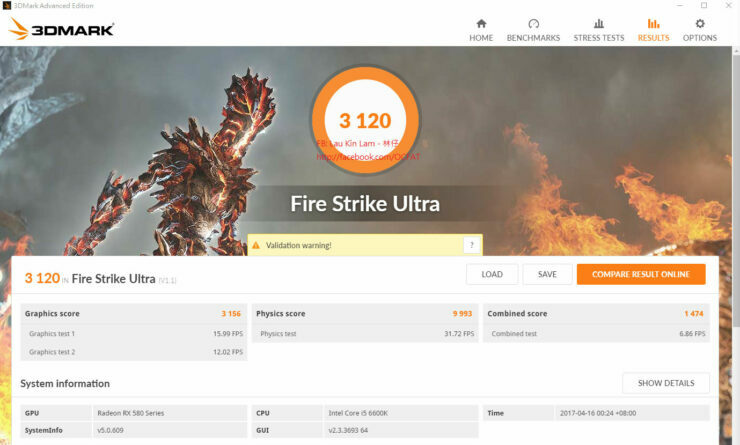 The first AMD Radeon RX 580 overclocking performance benchmarks are in, straight from Videocardz (via Lau Kin Liam). The benchmarks give us a first look at how well the refined Polaris GPU architecture is built to withstand some high overclocks. 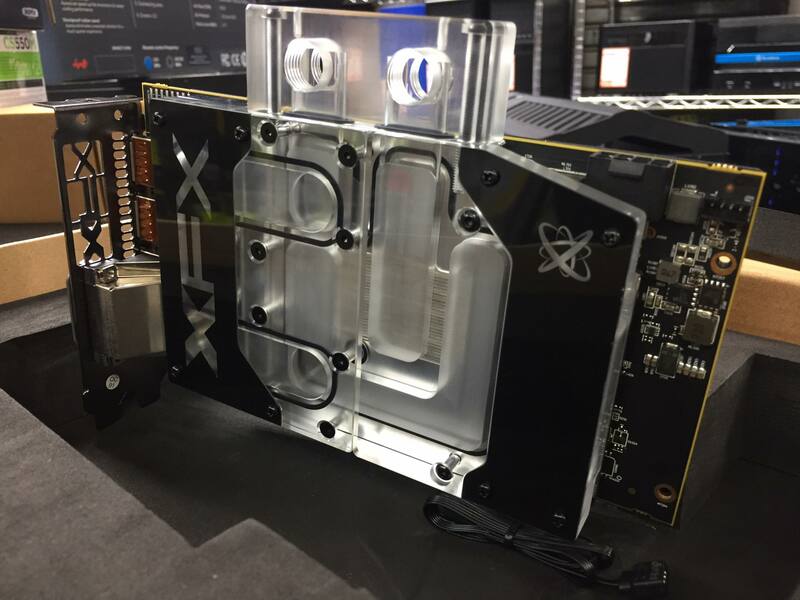 The card being tested here is the XFX Radeon RX 580 that uses a reference design. 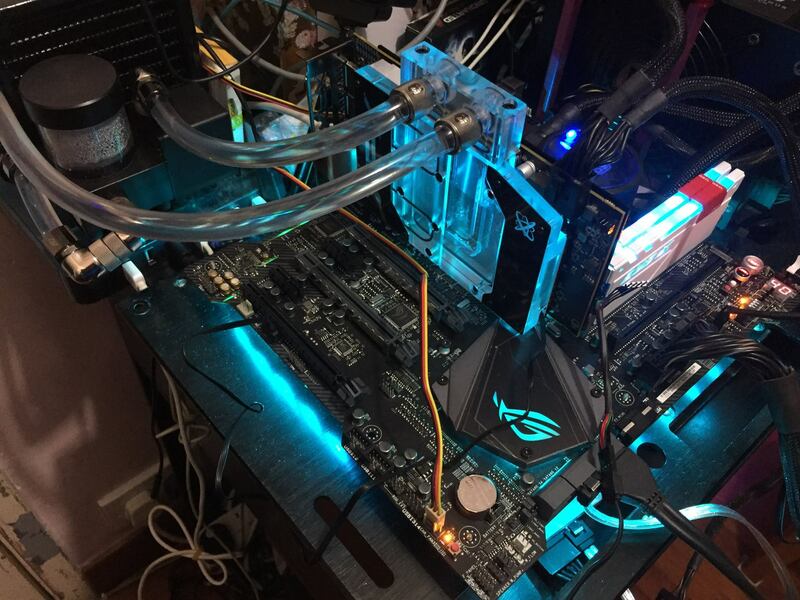 The overclocker used a custom waterblock to keep the card under liquid cooling while running the benchmarks. 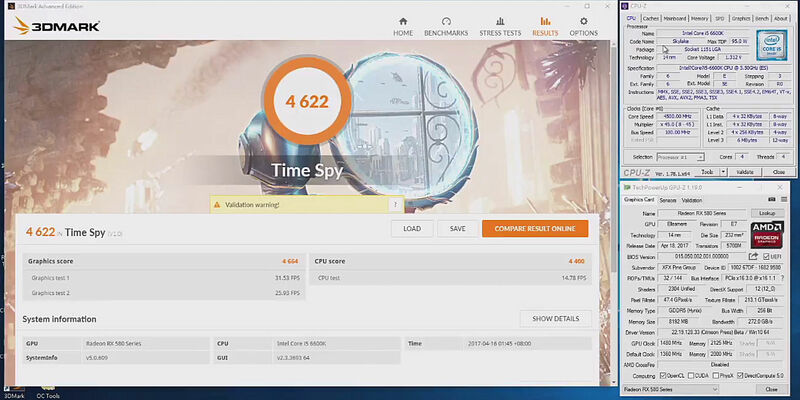 This overclocking session provides a detailed preview of how well the refreshed Polaris cards are designed to handle loads under overclock. The card was under liquid cooling so we shouldn’t expect a lot of stress in regards to the temperatures or overheating. The AMD Radeon RX 580 reference cards also come with a single 8-pin connector. This allows AMD to deliver more power to the GPU and electrical circuitry. Previously, reference Radeon RX 480 cards had to draw power from PCI Express connectors as the single 6-pin connector wasn’t enough to feed the GPU. This resulted in PCI Express slots dying or affecting the entire motherboard. The controversy prompted AMD to release a new driver to decrease power draw of their Polaris 10 based cards. 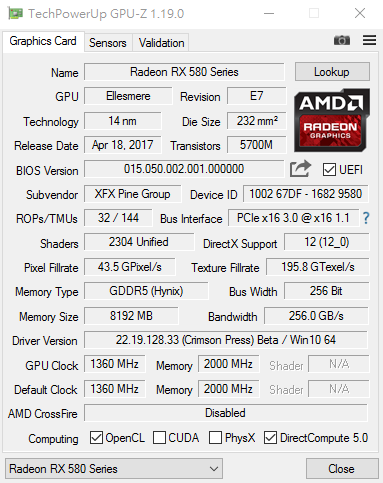 The XFX Radeon RX 580 was clocked at 1360 MHz so benchmarks at that speed are provided in the 3D Mark screenshots below. While the 8-pin connector should feed more power to the GPU for increased clock speeds, it seems like there’s a 100-150 MHz headroom in terms of overclocking for the reference models. Custom models may offer better headroom but that remains to be seen as they are overclocked beyond 1400 MHz out of box as seen in our previous article. 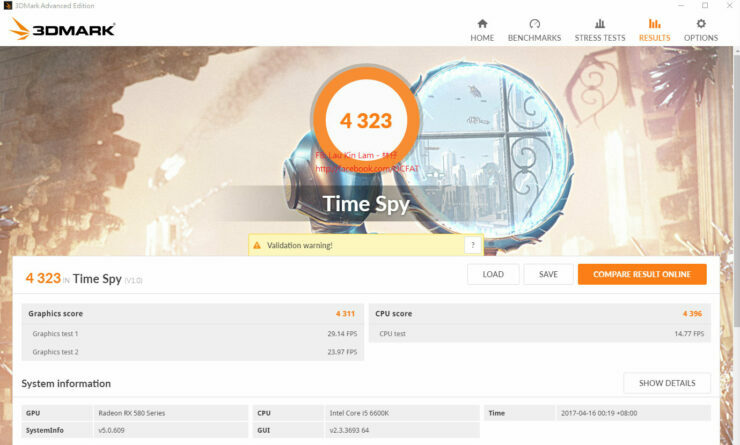 While overclocking, the tester mentioned that Radeon WattMan overclocking utility ran him into several issues with the card. Increasing the power limit resulted in major issues so he had to increase the GPU voltage. Even doing that resulted in the GPU coming under the influence of the famous power bug that while helped increased the clock speeds to 1500 MHz, decreased the overall performance. 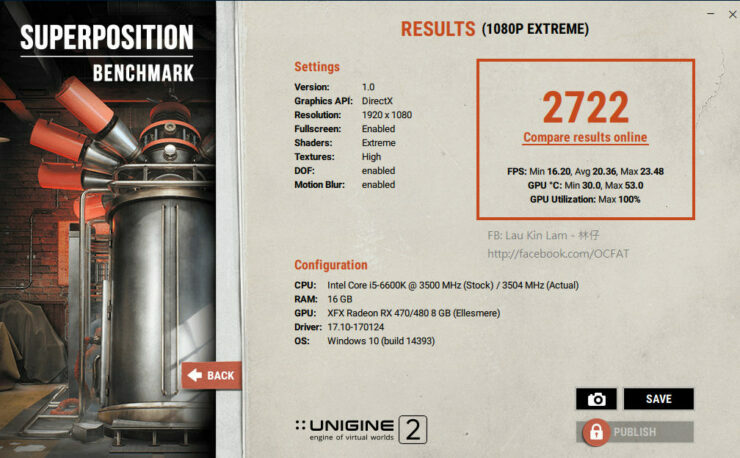 The maximum stable overclock was at 1480 MHz with +12mV. You can see the several scores reported during the tests with different clock configs as per compiled by Videocardz in the table below. 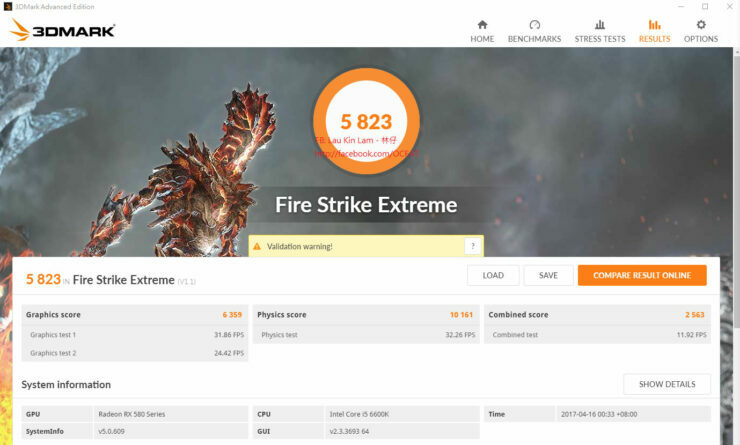 AMD’s refreshed Polaris graphics card sure come with really high clock speeds and based on their price points, they can become really good offerings for the mainstream segment. The Radeon RX 500 cards will launch on 18th April and for more details, you can head over here.